My vegetables are coming in fast and furious right now. 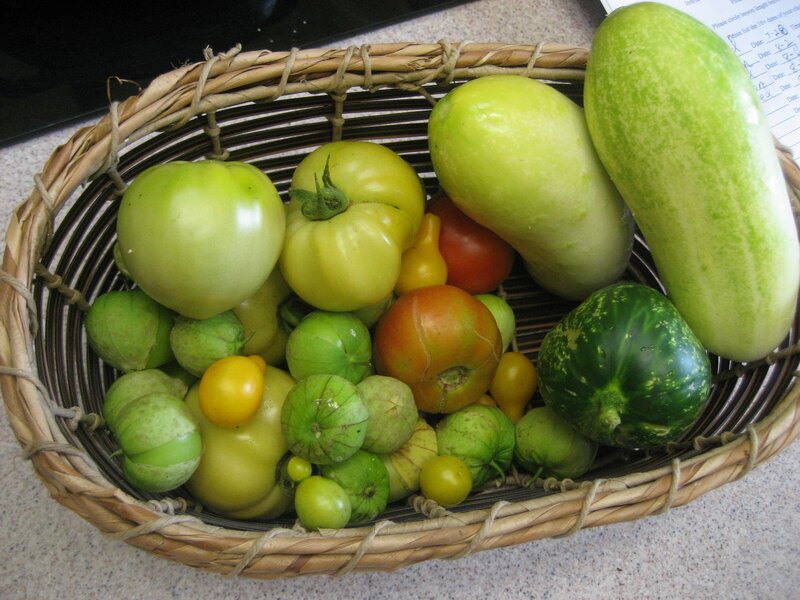 Cucumbers, tomatillos, tomatoes. Not sure why, since most people I know have already hit their height in garden harvests and are now pulling up plants or getting ready for an early fall planting. Mine seem to have been slow starters- OK with me as long as they produce in the end. 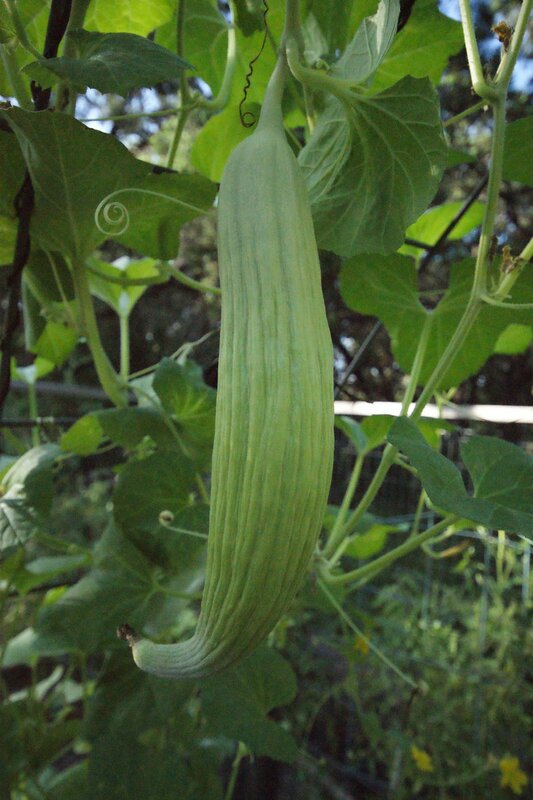 So, we’ve been eating cucumbers. No, I mean like every night. And usually I eat them for lunch. And I’m giving them to friends and clients. Share the joy, I say. Plus, I couldn’t bear it if I actually had vegetables going bad in my fridge after sweating to get them to grow. The past two nights, we have had garden-inspired meals. I am getting lots of tomatillos right now so last night I decided to use some old tortilla chips, leftover chicken and the tomatillos and make chilaquiles. For those who have never had it, you basically layer chips (or tortillas) with chicken (or egg for a breakfast version), salsa, and cheese. 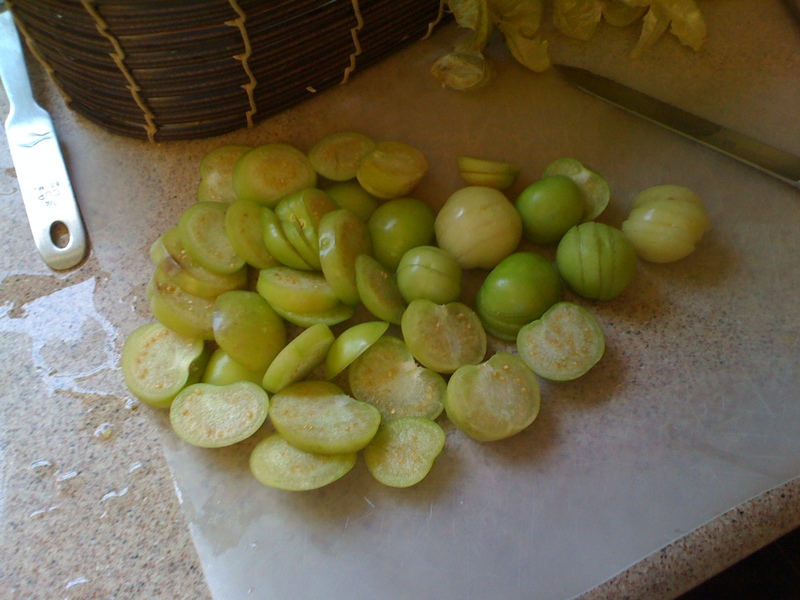 I sliced up the tomatillos and threw two layers of those in as well as some cojita cheese and and layered in some store-bought tomatillo salsa. With a little dollop of sour cream, oh baby! We had that last night with cucumber salad made by slicing up cucumbers and marinating them in 3 tbsp rice vinegar, 1 tbsp sugar and a dash of minced ginger. Takes about 40 minutes to transform into the divine. 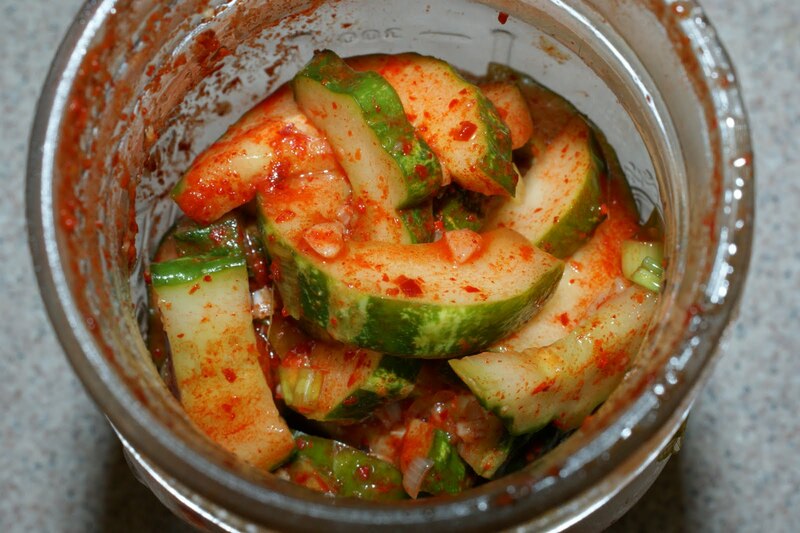 I wanted to find a new way to serve cucumbers for tonight, so I decided to try making quick cucumber kimchi. Quick explanation for those saying “kimwhat?”. Kimchi is a korean dish typically made with cabbage and spices and usually involving the cabbage fermenting in a clay pot. Stinky at first, but so good once your taste buds acclimate. Anyway, no fermenting over here. Key ingredients, korean chile powder, ginger, rice vinegar. Here’s the recipe if you’re interested. I’m pairing this with a slow-cooked soy/seasame roast, rice, and bok choy. Can’t wait to see what the kids think about the kimchi. No worries, they don’t like it…I’ll eat their portion. >OK, the annual fall vegetable gardening seminar is coming up this weekend , so I hope to see many of you there. I’ll be working the event so say hi if you see me! I know, it’s way down south, but take a nice drive (or a short one if you’re in South Austin) and come learn. You will NOT be disappointed. Cooler weather is just around the corner and now is the time to prepare your vegetable garden for the fall and winter season. Join Master Gardener Vegetable Specialist Patty Leander to learn the basics of vegetable gardening with an emphasis on varieties that flourish in the fall and winter months. Broccoli, lettuce, Swiss chard, radishes and spinach are among the fantastic crops that grow well in our cooler season. Vegetable gardens don’t end in fall, so come learn how to keep yours going year round. > The crops continue to come in. My tomatoes are actually just hitting their stride, having offered up nothing in the early summer. In addition, regular, lemon and suyo cucumbers and tomatillos are keeping my dinners EXTRA fresh!